One of the most common complaints among prospective home buyers is that every newly built house looks the same as every other house in the neighborhood. While the idea of a basic floor plan with a few variations appeals to builders, that concept is anything but appealing to someone who is probably about to make one of the biggest investments they’ll ever make in their life. 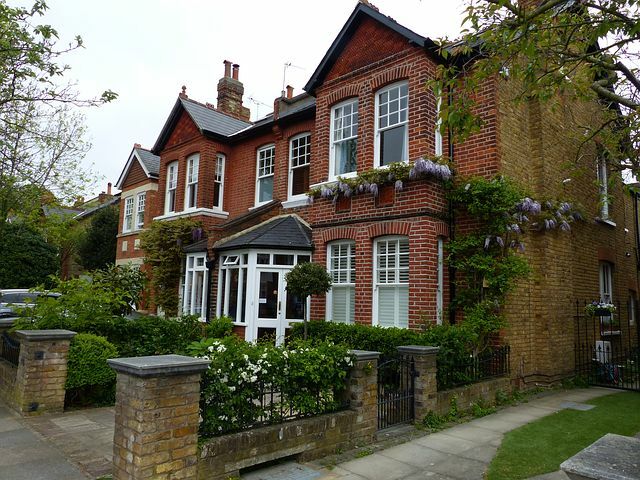 For this reason, a growing number of people are turning to older homes they can renovate. Giving an authentic appeal of the era in which they were built. Looking totally ‘fresh’ in today’s world where one street looks the same as any other. If you are currently renovating a home constructed at the turn of the century, the last century that is, why not look at some interesting ways to recreate a classic Victorian bath. If it’s elegance and comfort you are after, there is no better era to recreate! If there is one thing common to the Victorian era it would be their love for mosaic tiles in the bathroom and in the kitchen! These are often small tiles in black and white pieced together to form a repeating pattern. Most often forming a large white square with tiny black tiles at each corner. Walls, if not tiled, were often bricks painted white. If there was any color at all on the floor it would be in the form of a central carpet, often of Persian design. Persian rugs were huge in the Victorian era and were used throughout the entire home. Often the flooring was hardwood. Area rugs were used to add that extra softness underfoot or to give the room a bit of character. In an authentic Victorian bath, the tiling on the floor was marble. Today other ceramic tiles can mimic the look. Having said that, if you want the real deal, opt for marble. Here is where you’ll want to focus your attention if you are seeking to recreate an authentic Victorian bath. 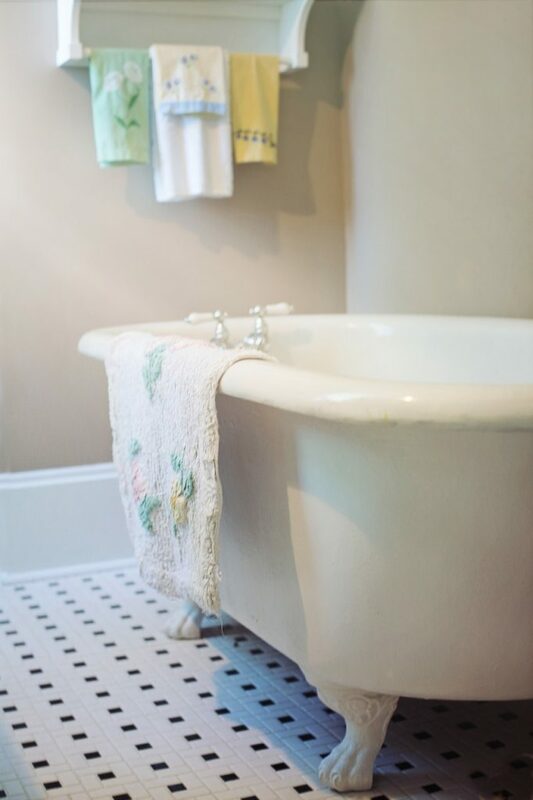 Most often you’d find a claw foot tub that was deep and detached from the wall or floor. Pipes ran up through the floor, or through walls, and even the faucets were a major part of the allure. While you can still find antique tubs and faucets, it is often better just to buy a newly manufactured claw foot tub. Antiques often need to be resurfaced. That can run into more money than buying new. As for faucets, almost every manufacturer carries a line of ‘antique’ faucets to choose from. If you want to recreate an authentic bath, you can learn more at this website. Sinks were most often pedestal sinks but sometimes you could still find basins seated on a vanity or cupboard. Rarely would you find a mirror above the sink. Most Victorian ladies and gentlemen groomed themselves at vanities in a separate area of a large bath. One thing to bear in mind when recreating a Victorian bath is that you should keep the room large and spacious. At this point in history, you’d rarely (if ever!) find a half bath. You could, however, find a water closet, which was something else altogether and simply a toilet in a little closet. Speaking of toilets, recreating an authentic Victorian-era toilet may be somewhat of a problem. These were often pull-chain toilets unlike anything in use today. If you want an authentic toilet of the era, sites like eBay and other auction sites may have them listed, but that is only half the problem. Being ‘pull-chain’ toilets, the plumbing worked a bit differently and you’d need a well-versed plumber to make them work in today’s homes. Even though the home may have been built more than 100 years ago, at some point the plumbing was updated. This might make it difficult to retrofit. Typically, vanities were not built into walls as they are today. These were freestanding dressing tables with a lavish mirror and often wall sconces to provide lighting. Ladies kept their brushes and combs as well as any hair adornments in drawers built into the vanity and makeup usually consisted of lip color and blush. Most of the makeup worn today was created in the 20th century, so if you want an authentic Victorian bath, do keep that stashed away in a drawer. Perfumes were applied by atomizers, so you will want one or more of those adorning your vanity. Men usually had a basin situated on a high iron glass-topped table and then there would often be a matching table with a vase of flowers to add color and charm. Wall sconces near the vanity were mentioned above. They were also placed higher on walls near the tub and at entryway doors. 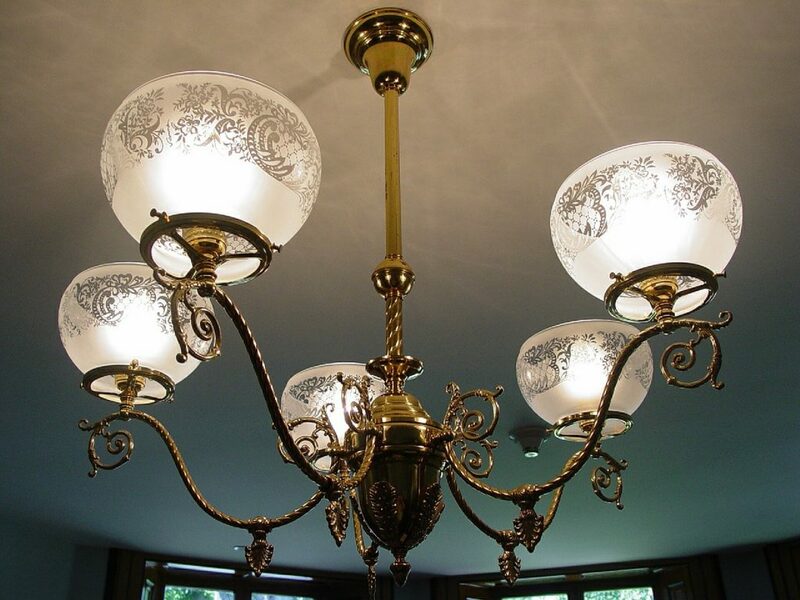 Few bathrooms of the era had overhead lights but if they were there, they were often quite like the chandeliers we now use in dining rooms. These had candlelight bulbs placed a bit closer to ceilings unless they were inordinately high. You can find sconces today manufactured to give an authentic Victorian appeal, so you won’t need to scout the auction sites for wall sconces unless you want an actual antique. Now that you get the idea, you can add a few finishing touches of your own. If you have any questions as to what an authentic Victorian bathroom looked like, there are many pictures and drawings across the web. From sterling silver boar bristle hair brushes to atomizers and ornate hand mirrors, you can add embellishments to suit your fancy and that can be a journey of its own. However, at the end of the day, when your bathroom remodeling is complete, you will finally know what it’s like to live in the elegance of the period.